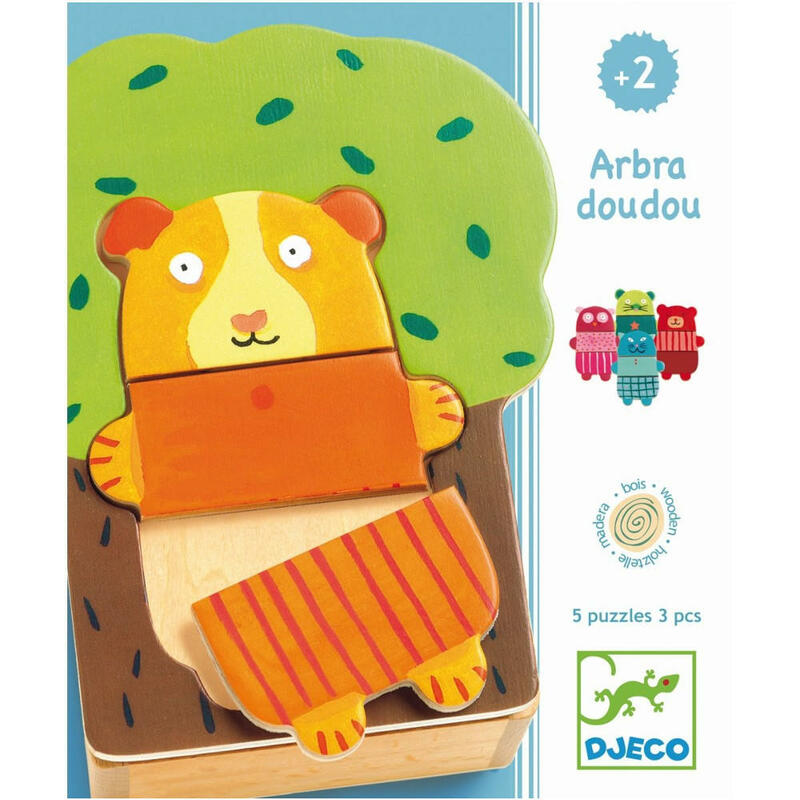 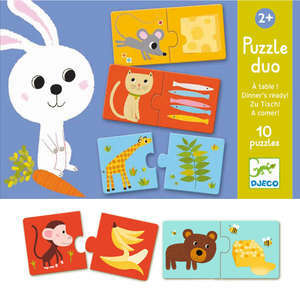 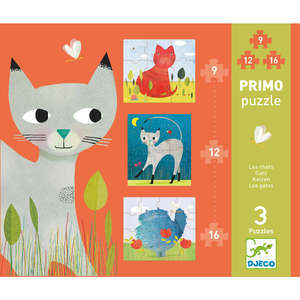 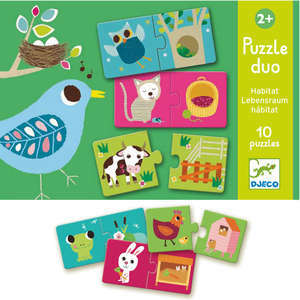 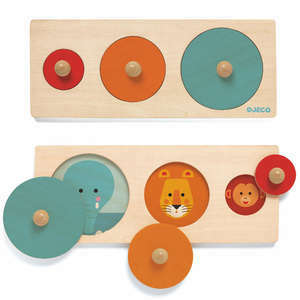 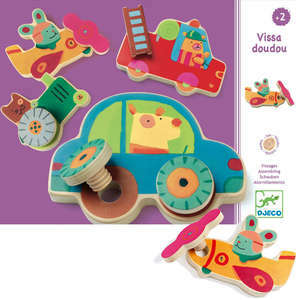 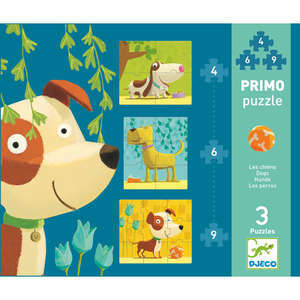 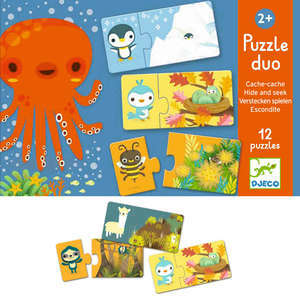 This unusual puzzle box from French brand Djeco includes fifteen colourful wooden pieces to make five cute animals. 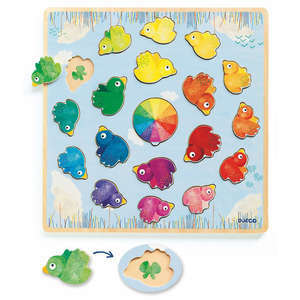 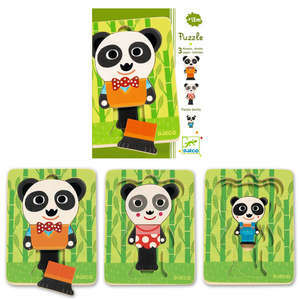 Match the colours to make the animals shown on the box or mix and match the pieces to create funky looking animals. 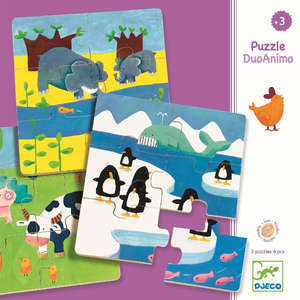 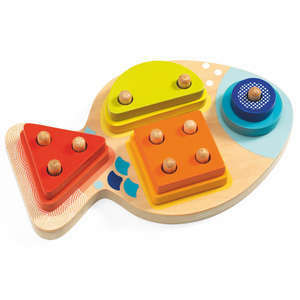 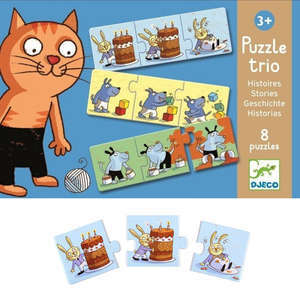 The puzzle pieces are stored in the solid wooden box, and the lid acts as a base for the puzzles. 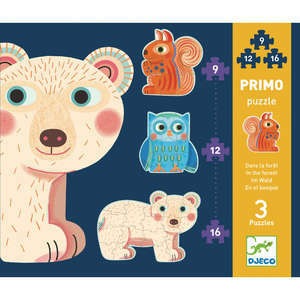 Younger children will enjoy putting the pieces together in the tree which acts as a guide to which piece goes where. 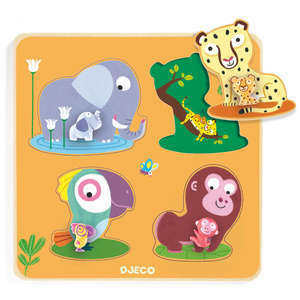 Each cuddly animal is 4" tall. 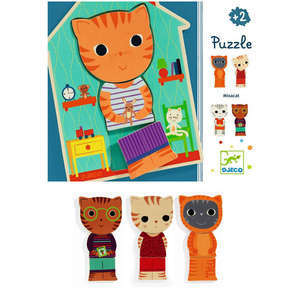 Box size approx: 16 x 13 x 6cm.